Updating a home’s bathroom can be a major point of comfort and added value for those who are looking into ways to improve their home. No home is complete without beautiful and complimentary bathroom tiles. 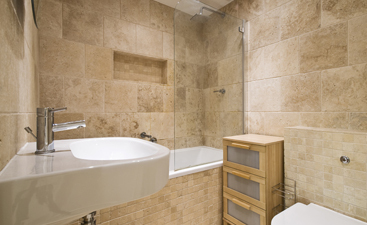 In fact, between the floor and shower area, much of your bathroom utilizes some type of tile. Don’t let picking your bathroom tile stress you out. Here are some questions to ask yourself as you look through a variety of tile options including the ones we offer at Transworld Tile. 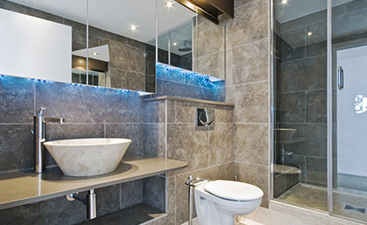 When you go to choose your bathroom tiles, you need to think about many different aspects of your lifestyle. Is the bathroom going to be for children? Is the tile going in the master bath? These factors affect color and durability choices for you home. You wouldn’t necessarily want marble floors in a children’s bathroom, but perhaps something more playful such as Mexican tile or even classic glass tile options, which are all more durable than marble. Price ranges are an important factor in any home renovation project. In fact, how you distribute the funds for the project will dictate what kind of bathroom tile you can purchase. Consider the most important aspects of your project and make sure you a lot enough money to be able to purchase tile you desire. 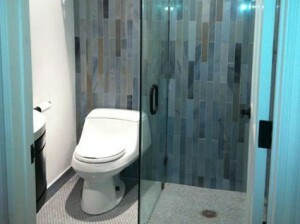 The tile you purchase will be a feature in your bathroom for a long time to come. What is your home’s style like? When you think about your home, what are some words that come to mind to describe it? Rustic? Modern? Classic? Knowing what your home’s current style is or the style that you want it to be will help to guide your bathroom tile choices. If you’re looking for a classic look, perhaps consider white porcelain subway tiles for the tub area. If you like modern styles, doing a beautiful black and white motif could give you that feel by using the Oxy or Contempo porcelain tiles. How easy should it be to clean? Different materials come with different levels of cleaning needs. Knowing how much and how hard you are willing to clean dictates some of your bathroom tile choices. Materials like slate or marble can involve much more intensive cleaning in a bathroom than porcelain or glass tile options. Ask yourself if you prefer the perfect look or if you prefer something that is easy to care for more. Every bathroom has different levels of renovation requirements. Perhaps you are simply updating the floor; or maybe you’re gutting the bathroom and starting from scratch. Each of these projects will need a different number of bathroom tile selections. If you’re just doing the floor, you will probably only need one type of tile. Perhaps two. If you’re starting from scratch on your bathroom, you may be looking at upwards of four or five different tile choices that all have to compliment one another. 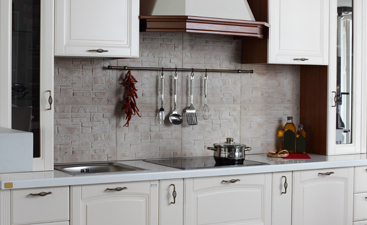 You are not alone in the tile selection process. The experts at Transworld Tile are here to help you with every project to make sure you get the perfect tile every time.